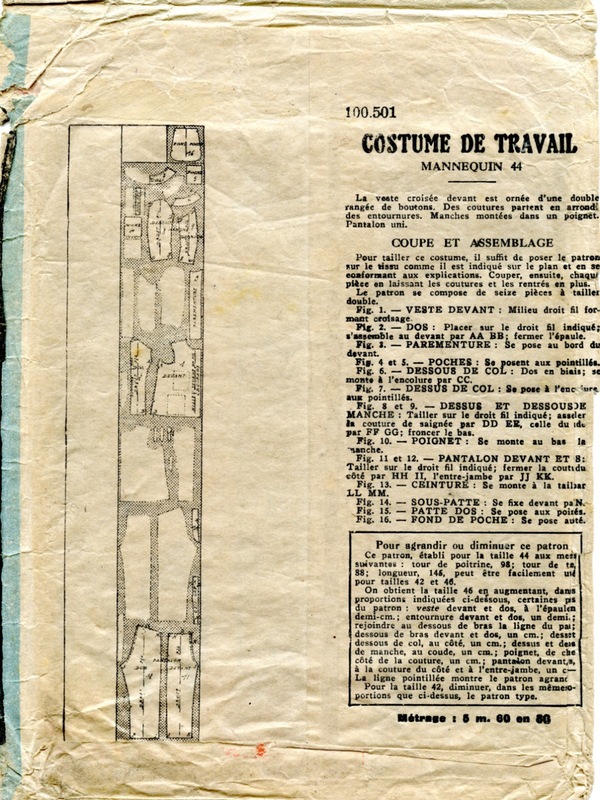 Guessing here at a date of the late 1940s to the early 1950s, based on studying envelopes with a similar layout for women's clothing, which is a little easier to date. This is the sort of find that makes this collector want to stand up and yell "Bingo!" A vintage French home-sewing pattern for men's workwear is a wonderful find. 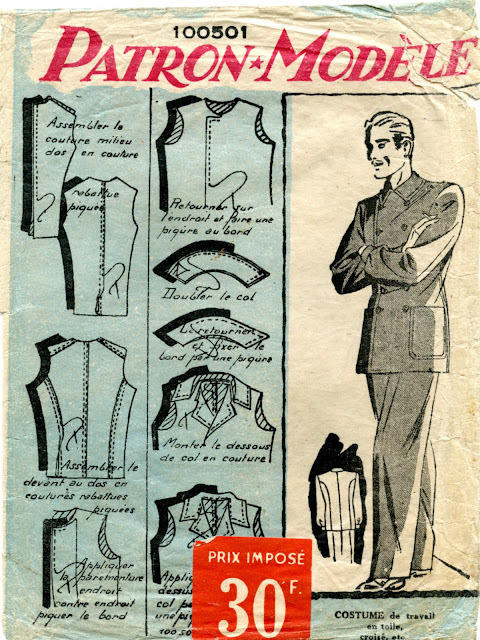 The rather swank illustration of Monsieur having a smoke break tends to obscure the sensible utilitarian design of this double-breasted jacket and trousers. It also completely hides the breast pockets. 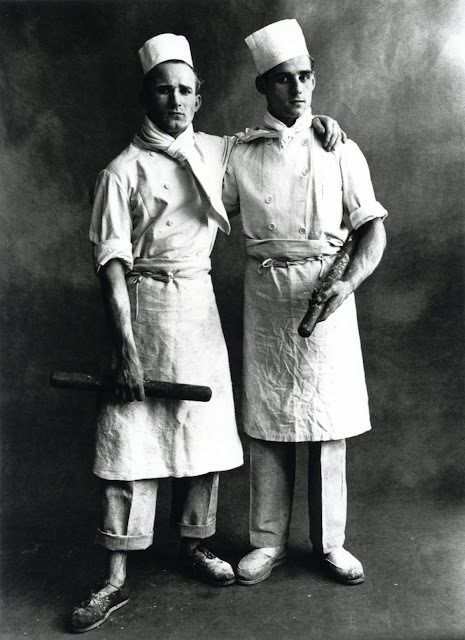 Note that the sleeves end in buttoned cuffs, which would be safer around machinery than plain hemmed sleeves. The instructions on the front of the envelope indicate that the seams are to be flat felled (rabattues piquees) and the edges top-stitched (piqure au bord,) standard techniques used in American ready-to-wear workwear, both of which strengthen the garment. Some basic fabric recommendations are given: toile, or canvas, and croisé, or twill. This unprinted pattern is in good condition, although the envelope seems to have had a hard life. I haven't read about these anywhere! I'll be looking for them from now on. Thanks for sharing!